Destroyer is the new film from director Karyn Kusama (Girlfight, The Invitation) and stars Nicole Kidman, Sebastian, and Toby Kebbell. It has been playing in extremely limited release since Christmas day, which is why this review graces TheaterByte now that it has expanded on a few more screens. Detective Erin Bell (Kidman) goes on a journey of self-reflection and to make the wrong things right, in a way. Years prior, she was a young undercover Sheriff’s officer and was involved in a series of events that left people dead, dying, and incarcerated. She is now trying to reconnect with those survivors to make peace with them and herself. I kind of gloss on the part of “making peace” with folks because if you’ve seen the trailers of the film and Erin Bell’s face you’ll see that there’s more to it than meets the eye. The film is not called Destroyer for nothing, and I am not talking about Kiss’ classic masterpiece either. Erin Bell’s character is quite complex and not an aesthetically pleasing one. She’s an alcoholic and possible junky. She looks like walking-talking zombie and her house in disarray. She has a sixteen-year-old daughter that is going through her own struggle and is lashing out her absentee mother. The marketing materials have sold the film as a sort of “transformative” character piece due to the special effects make-up laden work done on Nicole Kidman to “ugly” her up. Does it work? In terms of context, yes, it does. The last time I saw this sort of work on a female to get her looking ugly was on Charlize Theron for her work on Monster. Does Destroyer do that with Kidman? Sort of, to a certain extent, but only because Theron gained a lot of weight for her character. Kidman was just styled to look like a fully semi-functional working alcoholic/drug addict that looks twice her age. To say that Kidman looks battle-worn would be an understatement. I loved Destroyer in all of its neo-noir grit. I believe I also reviewed Karyn Kusama’s The Invitation for this site and I don’t believe I gave that a positive review, which I would totally change my opinion on now since I have seen it a couple of more times since. I now consider it a damn good film. I must have been in a bad mood when I watched it the first time. I do know that if I had seen Destroyer in theaters a few weeks ago it would have definitely made it to my Top-10 of the year list. The Hollywood ArcLight at the Dome has had almost daily/weekly Q&A’s with Kidman, Kusama, and writers Phil Hay & Matt Manfredi. Hay and Manfredi also wrote The Invitation. Now that Destroyer has expanded on more screens I am hoping more people get out there and watch it. It features some powerful performances and that final act is downright awesome. I do believe this film and Kidman’s performance have some Oscar merit come awards time. Here’s hoping that the more people see it and hopefully make it so. 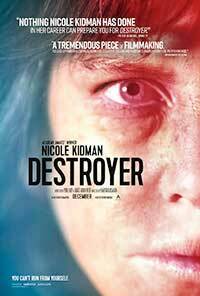 Destroyer is highly recommended. 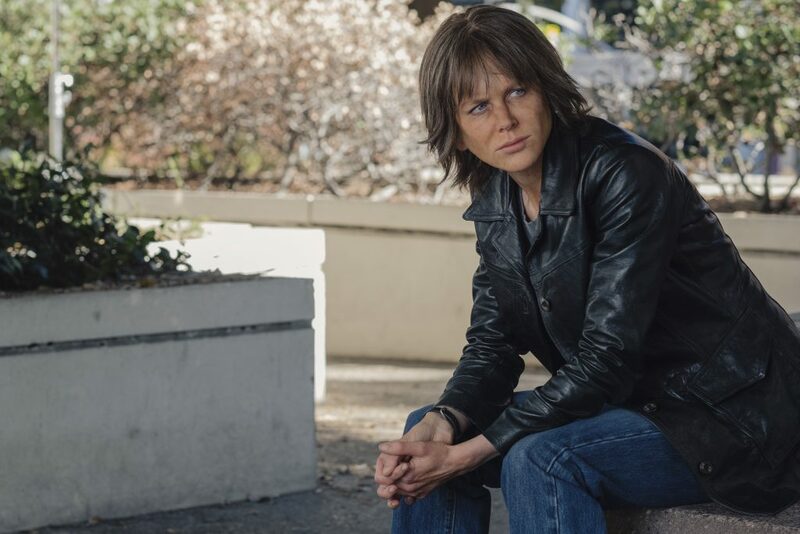 Nicole Kidman leads a great cast an undercover detective who reconnects with some dark elements from her past in Karyn Kusama's Destroyer -- an almost nihilistic neo-noir cop thriller with some dark secrets. Destroyer has expanded to more theaters - it's also one of the best films of 2018.